New Delhi: The imminent strike of 15000 resident doctors across Delhi government hospitals has been called off after the Delhi government promised to meet their demands. It is reported that the representatives for Federation of Resident Doctors Association (FORDA) met with the State Health Secretary today, who has given a written order that resident doctors in the capital would be paid according to the 7th Pay Commission. It is reported that with the Delhi government adopting the recommendations given by the commission, doctors and other healthcare workers are now paid according to the new pay scales. However, while other healthcare workers employed in the state government hospitals are being paid according to the new recommendations, for reasons unknown, the resident doctors had been kept out of its purview. 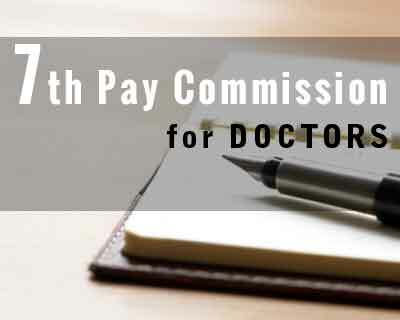 Resident Doctors of the capital had earlier threatened to go on a mass leave opposing this non-uniform implementation of the 7th Pay commission. The Competent Authority has pleased to extend the benefits of 7th CPC to Junior and Senior Resident Doctors working under Health & Family Welfare, Govt. of NCT of Delhi. However, as per “Residency scheme of Central Govt., the SR serving in Govt. hospitals/institutions will be treated as temporary government serpents and governed by the CCS (Temporaray Services) Rules,1965. Even the senior residents are eligible to subscribe to GPF and junior residents are not eligible to subscribe to GPF. Vide Govt. of India, Notification dated 25.07.2016, the pay Matrix in replacement of the Pay Bands and Grade Pay as in force immediately prior to the Notification of this Resolution, the JR/SR doctors are placed in the Pay Matrix of Level-10 ( Rs.56100-177500 ) And Level-11 ( Rs.67700-208700 ) respectively w.e.f. 01.01.2016. Doctors are called serpent in the notification!!! !